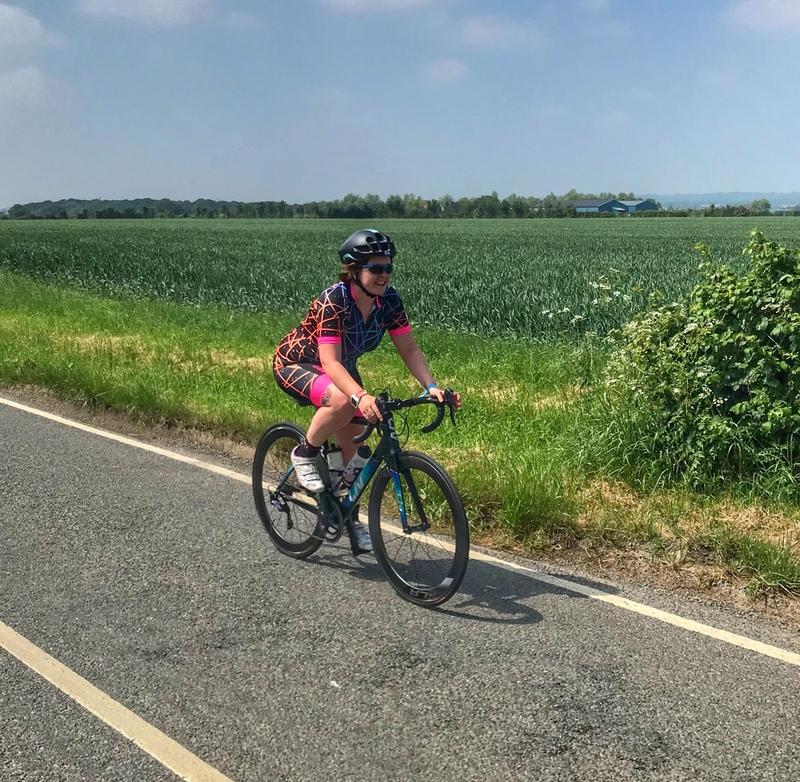 I’m determined to keep up my cycling throughout the winter and so far I’ve been able to get out on the bike most weekends. Now that the temperatures have dropped, I’m looking to add to my cycling wardrobe to keep cosy on the bike. I’m yet to actually try a pair of bibs as I usually wear regular waist tights. These dhb versions get great reviews for comfort, warmth and fit. Probably the most important piece of kit- a helmet. Obviously it’s function over fashion, but I love the colours and sleek design of this Bell helmet. 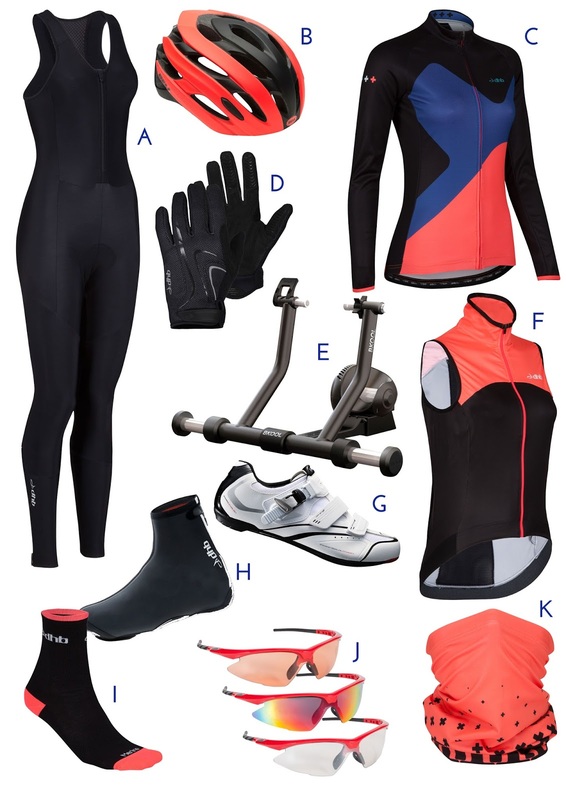 I’m slightly obsessed with coral and I’m loving the dhb range with highlights of colour to brighten up winter kit. This warm, fleecy jersey looks perfect for winter rides. Decent gloves are essential for preventing frozen fingers, I already own a similar pair which do a great job. I regularly use this turbo trainer at Vincini’s Cycle shop and I’ve been debating whether to invest in my own to use at home. It’s expensive, but fantastic for a realistic riding sensation and practicing pedaling technique. Carrying on the coral theme with a wind resistant gilet, I’d slip this on for extra protection on a windy day. My bike shoes are pretty knackered and I want to switch from MTB cleats to SPD-SL cleats. I’m after a pair with adjustable buckle closure for extra help when pulling up on the pedals. I’m desperate for a pair of overshoes as my toes have been frozen solid on recent rides. These neoprene overshoes come highly recommended for keeping out the chill. Keeping my feet toasty with merino, again with the coral trim. These glasses come with interchangeable lens- I’d use the clear lens now and switch to the darker lens on brighter days. I must admit it does bother me that these don’t come in coral- I like a colour scheme! Completing the look and stopping cold winds from getting to my face with this neck tube. What’s on your winter training wishlist?